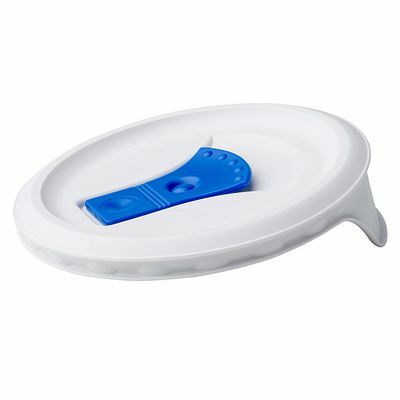 Vented blue-and-white plastic lid lets steam escape and prevents splatters which fits our 20-oz Meal Mug®. Transform your microwave experience with a plastic lid sized to cover our 20-oz French White or Pop-Ins® Meal Mug and vented to let steam escape while food reheats, protecting you and preventing splatters. 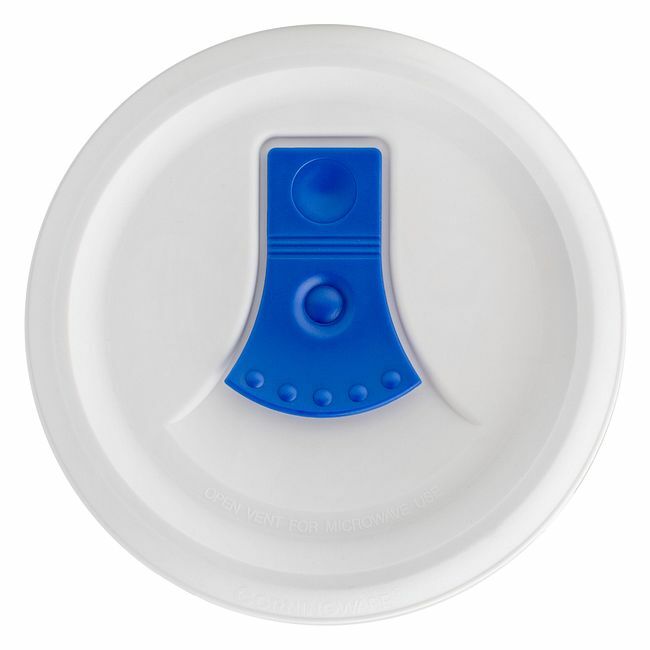 Great to use when you’re storing foods in the fridge or freezer, too. As with all glass products, you must exercise an appropriate degree of care, especially when cooking food at high temperatures. There are two primary risks associated with using glass-ceramic products for cooking. Breakage due to impact if the glass-ceramic product is dropped or knocked against a hard object. Burning when handling hot glass-ceramic product. For more information, call the Consumer Care Center. 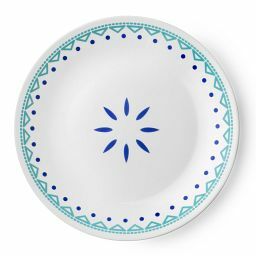 The enclosed CORNINGWARE® products are made from glass-ceramic and can be used in conventional, convection, toaster and microwave ovens, and on a rangetop, under a broiler, in the refrigerator, freezer and dishwasher. All glass-ceramic materials can be broken and care should be taken in handling. Accidental breakage from impact is not covered by warranty. FAILURE TO FOLLOW THESE INSTRUCTIONS MAY RESULT IN PERSONAL INJURY OR PROPERTY DAMAGE, OR MAY CAUSE YOUR PRODUCT TO BREAK IMMEDIATELY OR LATER. THIS PRODUCT IS NOT INTENDED FOR CAMPING, INDUSTRIAL OR COMMERCIAL USE. ALWAYS USE POTHOLDERS WHEN HANDLING HOT COOKWARE. 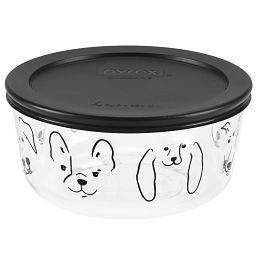 DO NOT place PYREX® glass cover on or under a flame or other direct heat source, including a stovetop, under a broiler, on a grill or in a toaster oven. 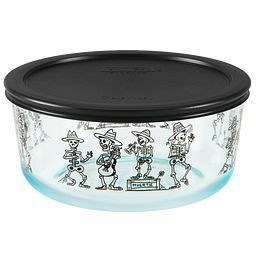 ALWAYS preheat convection or conventional oven when using PYREX glass cover on CORNINGWARE item. NEVER place hot PYREX glass cover on a wet or cool surface, or handle hot cover with a wet towel, wet potholder or other wet cloth. DO NOT place hot PYREX glass cover directly on a countertop or any metal surface, or in the sink. Allow to cool on a cooling rack, dry potholder or dry cloth. Be sure to allow glass cover to cool as provided above before washing, refrigerating or freezing. 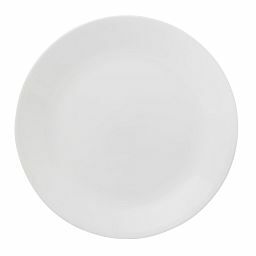 DO NOT strike utensils against rim of cookware or glass covers to dislodge food. 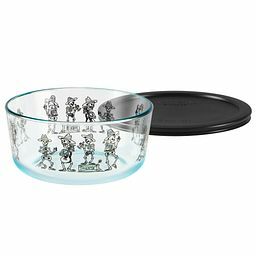 DO NOT use glass-ceramic cookware to cook popcorn, caramelize sugar, make candy or deep fat fry. DO NOT use abrasive cleansers, scouring pads, or any object that will scratch the cookware or accessories. DO NOT use or repair any item that is chipped, cracked, or broken. DO NOT use any items that have been subjected to use that is expressly warned against above. This product is intended for normal household use only. 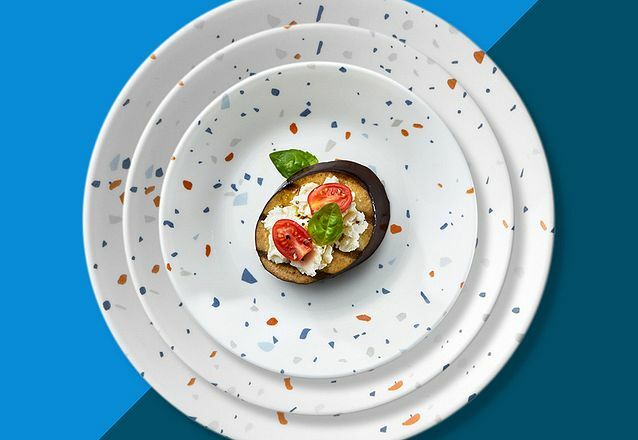 All glass-ceramic CORNINGWARE® can be used in conventional, convection, toaster and microwave ovens, on a rangetop, under a broiler, in the refrigerator, freezer and in the dishwasher. Use only wooden, nylon or plastic utensils. Metal utensils can scratch or leave gray marks. To loosen baked on foods, allow the cookware to soak. If scouring is necessary, use only plastic or nylon cleaning pads with nonabrasive cleansers. See warnings for glass covers stated above. 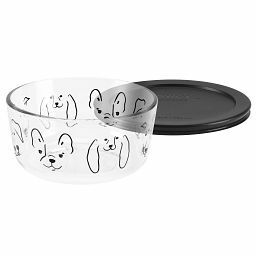 PYREX glass covers can be used for cooking, baking, warming, and reheating food in microwave ovens and in preheated conventional or convection ovens. Allow cover to cool before placing in sink or water. Dishwasher safe. 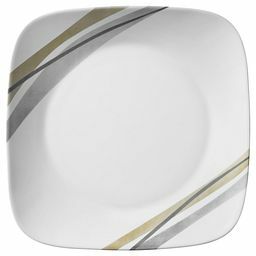 When using dishwasher, load dishes to avoid bumping against other items during the dishwashing cycle. Use non-abrasive cleaners. If scouring is necessary, use only plastic or nylon cleaning pads, again with nonabrasive cleaners. DO NOT use in conventional or convection ovens. Microwave oven, refrigerator, and freezer. Wash cover before first use. To prevent permanent stains and blisters, AVOID REHEATING foods high in oil, fat, sugar or tomatoes. Remove cover with care. Condensation may develop on underside of cover. For plastic covers with vent tabs, install cover with vent open. 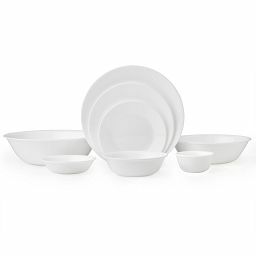 To minimize leaking and dripping, and ensure proper sealing of cover to dish, exert downward pressure when applying cover. Once cover is in position close vent. Open vent when removing cover and prior to microwave use. Make sure vent tab is closed during transportation and storage. Wash by hand or in automatic dishwasher, top rack only. 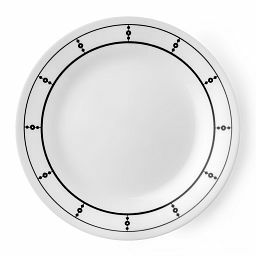 Corelle Brands LLC promises to replace any glass-ceramic (bowl) cookware item that breaks from hot or cold temperatures within 10 years from date of purchase. Corelle Brands LLC promises to replace any PYREX cover that breaks from oven heat within 2 years from date of purchase. Any non-glass part/accessory with a manufacturing defect will be replaced without charge within 2 years from date of purchase. This warranty does not cover damage resulting from negligence, misuse, abuse, institutional/commercial use or purposes other than normal household use. This warranty does not apply to damage resulting from improper cleaning with abrasive cleaners, or cover the interior or exterior against discoloration or stains acquired during normal use. The owner must follow the Safety and Usage Instructions provided with the product. Please contact our Consumer Care Center for warranty claims. KEEP THE PRODUCT. You may be asked to return it. Incidental and consequential damages are expressly excluded from this warranty. Some jurisdictions do not allow this exclusion or limitation, so the foregoing exclusion or limitation may not apply to you. This warranty gives you specific legal rights and you may also have other rights, which may vary from jurisdiction to jurisdiction.